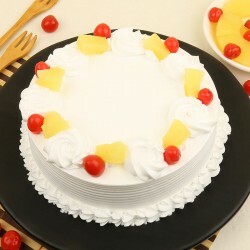 Joyous occasions call for MyFlowerTree cake delivery in Mathura. 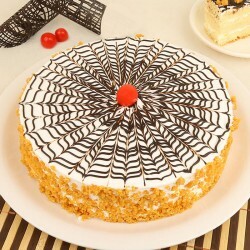 Just take a look at the vast range of cakes we have on offer on our website and place an order for free delivery in Mathura. 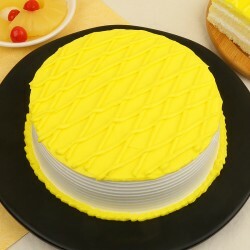 We rake pride in bringing to you cakes that are delcious, and priced very reasonably. 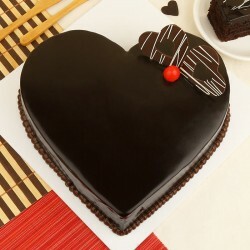 Avail our online cake delivery in Mathura and surprise your parents on their anniversary, as only cakes can do justice to jubilations. 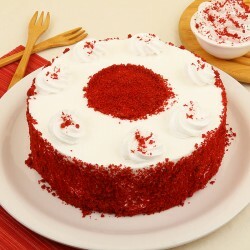 Our clients are thrilled with the amazing range of delicious cakes that we offer. 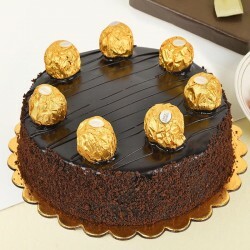 All our cakes are prepared in hygienic environment and are ready to be delivered as soon as you place the order for delivery. Revel in the magnanimity of everyday classic flavours like Vanilla, Chocolate, Strawberry, Pineapple and Butterscotch. 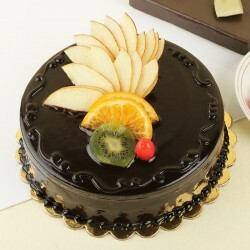 We also offer exotic cakes that make the perfect choice. Be smitten by the beauty of our Fruit Yoghurt Passion Cake and Strawberry Surprise Cake for they are as tasty as they look. 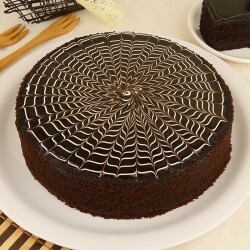 We take pride in offering stunning 5 Star cakes that stand class apart due to their luxurious look, design and taste. 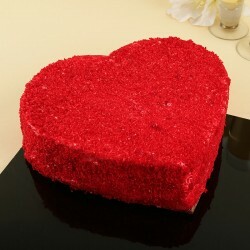 Our theme cakes attract creed following due to the way they add zest to the occasion. 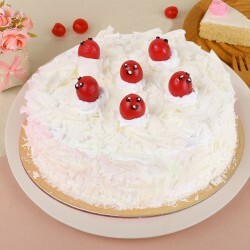 Enliven your parties with cakes that our website offers to suit all kinds of occasions like graduation ceremony, office farewell or Valentine's day itself. Looking for a gifting experience more customised? Settle for our wonderful Photo Cakes. 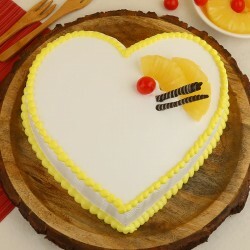 These cakes can be customised to match your personal preference.Choose the picture that closest to your heart and get it printed on the cake by uploading it on our website. 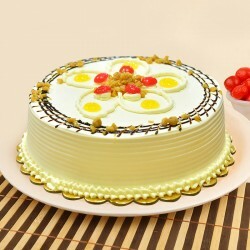 We process the order when you place it and ensure timely delivery of photo cake to all Mathura addresses. 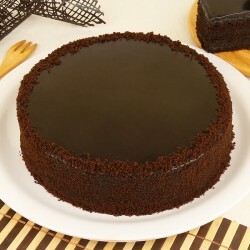 We also offer fry cakes, cake jars and cheesecakes in Mathura. 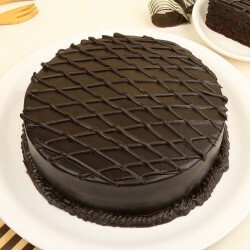 Dazzle amidst the circle of your own friends and family by harnessing the privileges that our same day cake delivery in Mathura brings to you. 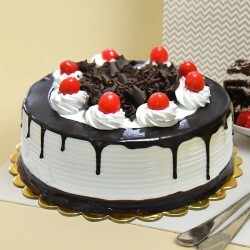 We also cater to the needs of our patrons who are looking for cake delivery in Mathura at midnight. 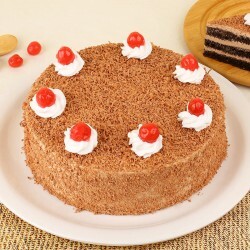 Apart from these specials, we are pioneers at next day cake delivery in Mathura. 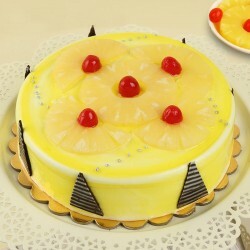 MyFlowerTree website is very easy to use and showcases a wide variety of cakes to try. 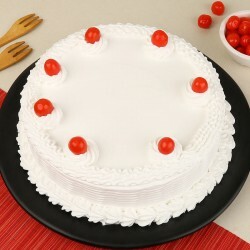 Just select the date you want the cake delivered in Mathura and place the order by making the payment. We place immense value in our esteemed customers and thus offer excellent quality products on demand. We also deliver in a time bound fashion and charge nominal value. Besides fresh cakes we also bring to our clients range of fresh flowers, chocolates, cookies, stuff toys and other lifestyle accessories that are nice to gift.